This wonderful zone 4 (hardy) hydrangea is winning us over. Large green to white blooms on sturdy stems (hardy, hardy) float over large leathery leaves. 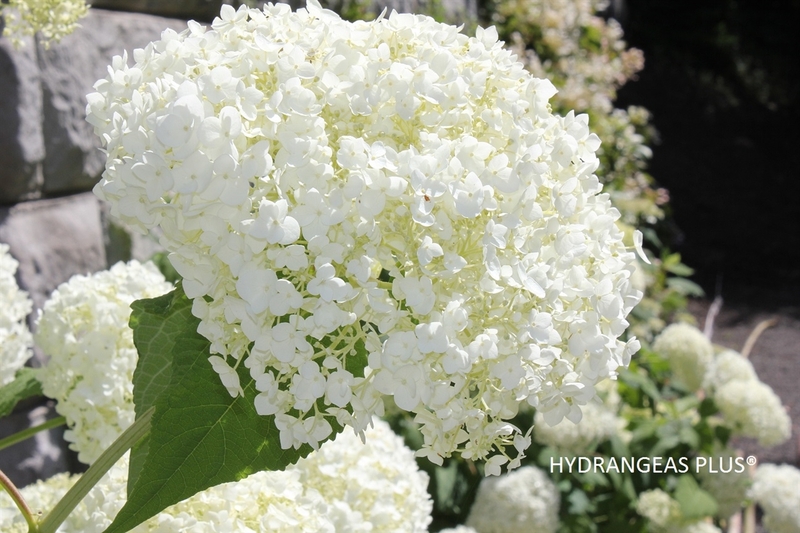 This cultivar does grow larger in habit and in bloom size than the native Annabelle and puts on a grand show for us late May through first fall frost. Blooms dry right on the bush in the fall. In our Northwest locale, this plant needs the full sun to be at its best. In more Southern gardens, it needs some shade to avoid scorching. Very awesome selection and we have a very limited supply so don’t miss out.